Having a great espresso machine/coffee brewer at home or at the office can be great! Let's compliment it with the skills and knowledge to properly operate, maintain and even service it yourself! 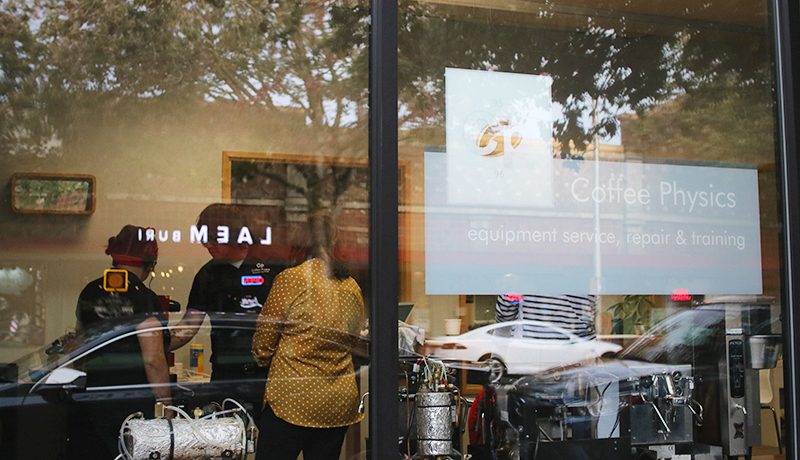 Whether you're a shop owner looking to perform your own maintenance and repairs or you've got a machine at home you'd like to get a little more hands on with; Coffee Physics can provide you the knowledge and training to get you on your way. Contact us for at-home training! Coffee physics is proud to offer our Home Espresso Machine workshop. Facilitated at our workspace in the greenwood neighborhood of Seattle, WA. Learn and get hands-on experience with coffee equipment in a group setting with fellow coffee enthusiasts! This workshop will focus on everything from what your machine is actually doing under the hood to brew coffee, to proper operation and maintenance to get you brewing like a pro!